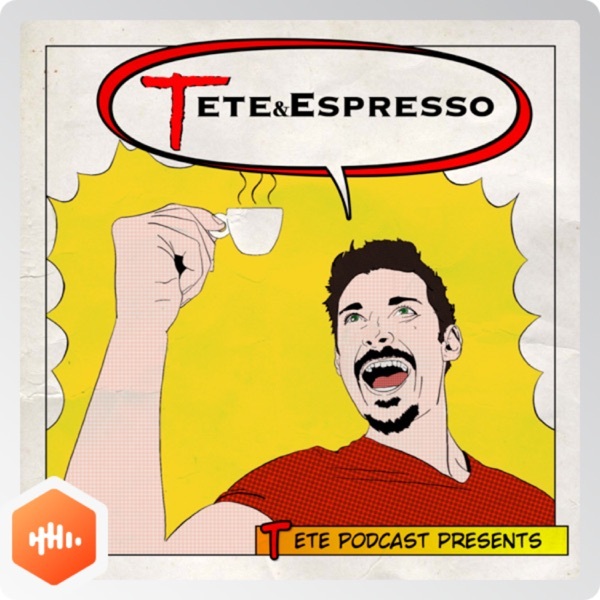 TeTe & Espresso | Listen Free on Castbox. TeTe & Espresso is a 2 minutes podcast, 3 days a week, that will get your day started the perfect way, with a positive jolt. With weekly themes, 1 minute is spent talking about the daily topic, and 1 minute is spent on energetic affirmations...The best way to start your day. Orphanage work inspired this podcast. I have a working plan in motion to install surround sound in orphanages, where I currently go to in Mexico, where I will be programing their brains for success and happiness. While building this dream, I decided to make a version for the general population, and use the proceeds to build my brain programing and mentorship program with the kids without families.. I currently visit 3 homes, with 60 kids in each home, ranging from 1 month to 22 years old...In this dream, your messages of hope and love are linked directly to them. Our success is their success. This Podcast was created realizing the precious time we have in our busy lives. A 1 hour podcast, and even a 20 minute podcast, can seem too long in our daily lives. That was the intention for having a 2 minute podcast. You could even listen to it back to back and not spend more then 5 minutes of your time. And that time is filled with the best brain programing humans can experience. After spending the last 15 years immersed in affirmations, psychology of success, coaching programs, spiritual books, courses, philanthropy, mastermind groups, psychology, philosophy, and wanting to live fully every day, I put that all together in a package that can help my brother and sister (you) to the maximum, knowing your busy life. All of the acoustic guitar is originally done in the booth, and is the back track for each podcast. Every week there is a new guitar progression. I write, record, and produce everything you hear. Keeping it fresh 52 throughout the year. Spread this with as many people as you love, it will help the ones who need and want our love the most... The children and young adults of this world, with no one there for them.